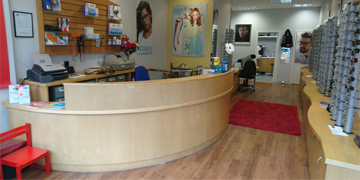 CM Optical are proud to be the only family run optician in West Lothian who are specialising in House Visit Free Eye care. Christopher McGregor and Neil Ferguson have for 2 years now have enjoyed helping out in your community in providing free eye test to house bound patients and elderly. We love to attend house bound appointments and try our very best to provide every patient a happy, fun and exceptional eye care. We bring along a large extensive selection of glasses and free glasses and if you seek a special style or frame then simply ask and we will do our best to order in a variety of frames to bring along. So if you are unable to attend an optician practice and require a free eye test then simply call one of our practices direct and ask to be put on our home visit appointment list. We are here to help with a smile.